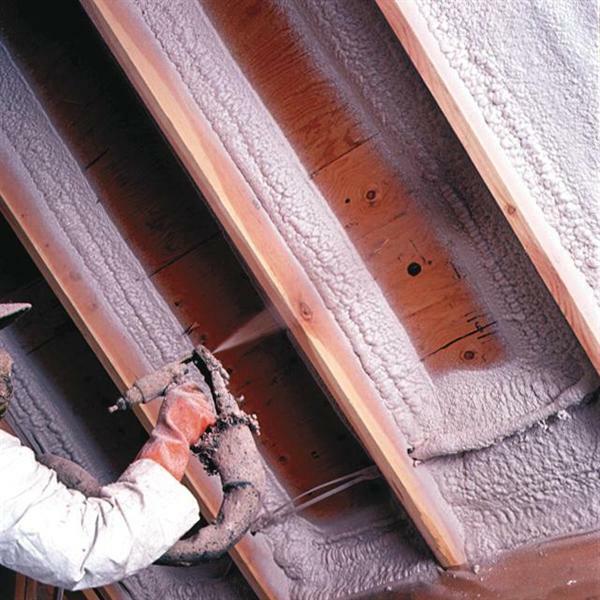 environmentally friendly, open-cell, Class 1 sucrose-based spray foam (SPF) insulation. The SPF product is reported to contain a finished-foam green content of 25%, and is fire-resistant, passes the ACC 377 Appendix X test and does not require chemical barriers and coatings for an ignition barrier, the companies said. “SucraSeal offers an energy-efficient and sustainable solution for commercial contractors and residential homeowners seeking a greener alternative to petroleum-based insulation products,” the companies said in an announcement on the product introduction. SES Foam said the product development is the result of a collaboration involving its urethane chemistry knowledge and Imperial Sugar Company’s natural-product expertise. “SucraSeal insulation offers high yield and an R-value of 3.7 per inch, is VOC and formaldehyde free and virtually odorless,” said Charles Valentine, SES Foam’s chief operating officer. He said fire resistance is built into the foam, making the use of an ignition barrier unnecessary. The company said the patent-pending technology produces .5 PCF and 1.0 PCF formulations of SucraSeal. The .5 PCF offers a finished-foam bio-based content of 17% and the 1.0 PCF has a finished-foam bio-based content of 25%. Both products are reported to meet USDA’s BioPreferred® Program qualifications, and the bio-based content has been determined by ASTM D-6886. The products employ water-blown application technology. Even with its sucrose content, the SPF product is reported to contain “zero food value” for rodents or insects, and is described as naturally resistant to mold, mildew and water, and is anti-microbial, SES Foam said. The product provides an air-tight seal, is dimensionally stable, stays firmly in place, and will not settle, the company said. SucraSeal is offered exclusively through SES Foam licensed dealers. Limited contractor partnerships are available on a geographic basis for insulation installers with a history of safety and quality operations, SES Foam said.